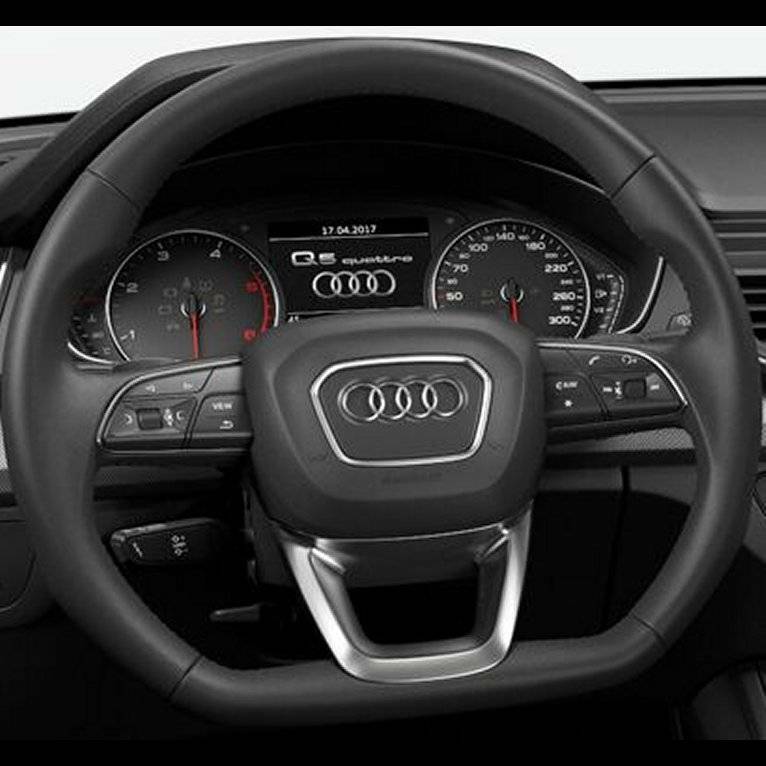 A more contoured flat-bottom steering wheel wrapped in black or granite grey smooth leather with matched stitching. Available with black shift paddles. Badgeless for a fully clean appearance.